Ever 40 Million Americans suffer from anxiety disorders. 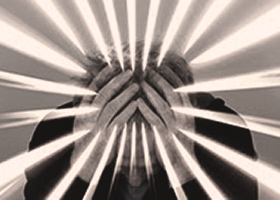 Learn more about the many treatments available to help cure anxiety. Anxiety disorders affect about 40 million American adults age 18years and older in a given year causing them to be filled with fearfulness and uncertainty. Anxiety disorders last at least for 6 months and get worse if they are not treated. Anxiety disorders common occur along with other mental or physical illness including alcohol and substance abuse, which may mask anxiety symptoms or make them worse. In some cases, these other illnesses need to be treated before a person will respond to treatment for the anxiety disorder. 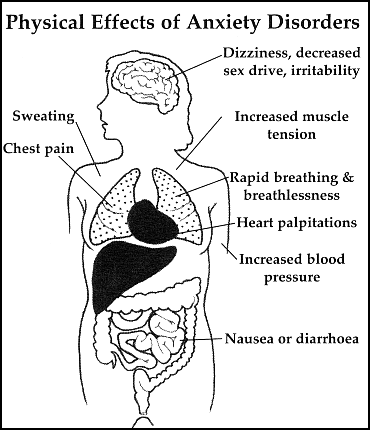 Panic Disorder is a real illness that can be successfully treated. It is characterized by sudden attacks of terror, usually accompanied by a pounding heart, sweatiness, weakness, faintness, or dizziness. During the attacks, people with panic disorder may flush or feel chilled; their hands may tingle or feel numb; and they may experience nausea, chest pain, or smothering sensations. 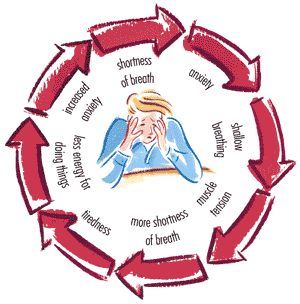 Panic attacks usually produce a sense of unreality, a fear of impending doom, or a fear of losing control. It can occur anytime, even during sleep. People with GAD go through the day filled with exaggerated worry and tension, even though there is little or nothing to provoke it. They anticipate disaster and are overly concerned about health issues, family problems, or difficulties at work. Sometimes just the thought of getting through the day produces anxiety. They can’t relax, startle easily, and have difficulty concentrating. Often they have trouble falling asleep or staying asleep. Physical symptoms that often accompany the anxiety include fatigue, headaches, muscle tension, muscle aches, difficulty swallowing, trembling, twitching, irritability, sweating, nausea, lightheadedness, having to go to the bathroom frequently, feeling out of breath and hot flashes. Social Phobia is diagnosed when people become overwhelmingly anxious, and excessively self-conscious in everyday social situations. They have an intense, persistent, and chronic fear of being watched and judged by others and of doing things that will embarrass them. They can worry for days or weeks before a dreaded situation. It may interfere with work, school, and other activities and may make it hard to make and keep friends. People with OCD have persistent upsetting thoughts and use rituals (compulsion) to control the anxiety these thoughts produce. Most of the time, the rituals end up controlling them. PTSD develops after a terrifying ordeal that involved physical harm or threat of physical harm. People with PTSD may startle easily, become numb, loss of interest in things they used to enjoy, emotionally distant, irritable, become aggressive and violent. They repeatedly relive the trauma in their thoughts during the day and in nightmares when they sleep. They are called flashbacks. They may lose touch with reality. Specific Phobia is an intense, irrational fear of something that actually poses little or no threat. Some of the common phobias are heights, escalators, tunnels, highway driving, closed-in places, water, flying, dogs, spiders, and injuries involving blood. Cognitive Behavioral Therapy (CBT) is very useful in treating anxiety disorders. The cognitive part helps people change the thinking patterns that support their fears, and the behavioral part helps people change the way they react to anxiety provoking situations along with psych education. Exposure-based therapy has been used for many years to treat specific phobias. CBT is undertaken when people decide they are ready for it and with their permission and cooperation. There are no side effects other than the discomfort of temporarily increased anxiety. Stress management techniques and meditation can help people with anxiety disorders calm themselves and may enhance the effects of therapy. Aerobic exercise may have a calming effect also. Medications will not cure anxiety disorders, but will keep them in control while the person receives psychotherapy. Please CONTACT ME for a consultation and take charge of your Health and Wellness in Mind, Body and Spirit. Be Well Mind Body Spirit is a full service counseling center that focuses on adult individual Mental Health Counseling, Health and Wellness Coaching and Ayurvedic Consultation.